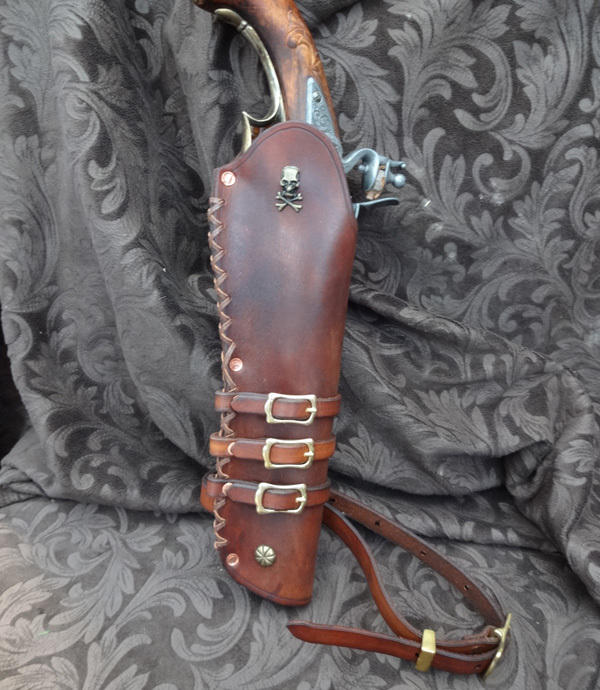 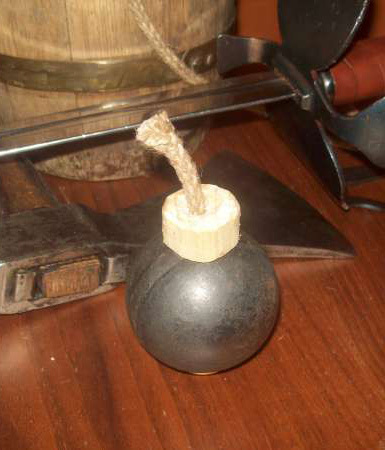 This is a Real Leather Flintlock pistol bucket inspired by the ones described in 17th/18th Century books about Pirates. 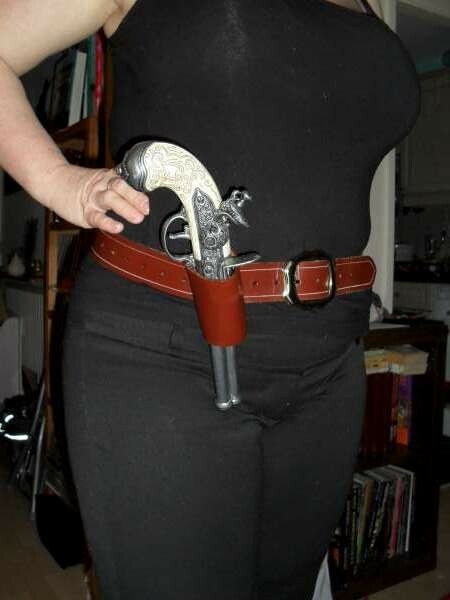 It holds the smaller denix style pistols. 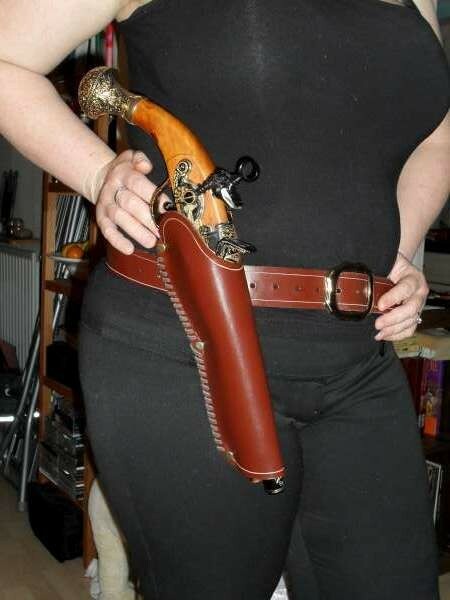 The holster can be fastened together by either modern brass rivets or period correct copper rivets. 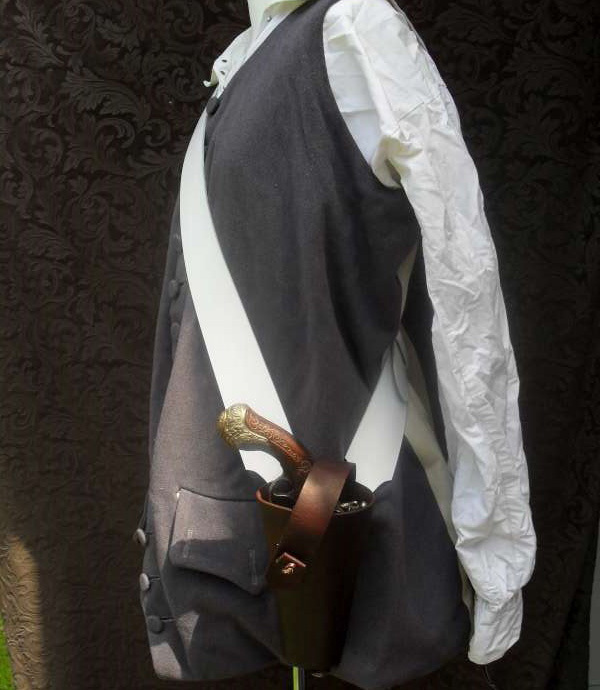 It fits up to a 2" belt but I can make them to fit wider if you need it.